Feeding a family of five (or more) can be expensive, especially if you eat out. Take advantage of free kids meals while you can! Check out all the places across DFW that offer kids meals free along with any qualifying details. If you know of more, please comment and I’ll add it! Amazing Jake’s – Kids 3 and younger eat free every day. Free kids’ buffet WP of a regular adult buffet, all day. Ages 10 and under. Applebee’s – Monday-Thursday – kids eat for $.99. Age 12 and younger. Black-Eyed Pea– Free kids meal on Tuesdays WP of adult meal from 4–10pm. Ages 12 and younger. Boston’s – Free kids meal on Wednesdays WP of adult meal. Ages 12 and younger. Chick Fil A– Kids eat free on Tuesdays after 5 WP of adult meal. Select locations. Cici’s Pizza – Free kids meal with purchase of an adult meal. Ages 3 and under. Participating stores only. Cristina’s – Free Kids meal WP of adult meal. Monday and Tuesdays only. Ages 12 and under. Denny’s – Free Kids meal WP of adult meal. Every day, 4-10 PM. Ages 12 and under. Dickey’s – Kids eat free on Sundays WP of adult meal. Ages 12 and under. Free ice cream every day. El Chico – Kids eat for $.99 on Thursdays. Firehouse Subs – Free Kids meal WP of adult meal. Saturday and Sundays only. Ages 12 and under. Gatti’s Pizza – Free kids buffet WP of regular adult buffet. Monday. Ages 10 and younger. Genghis Grill – Free kids meal on Tuesdays WP of adult meal. Ages 12 and younger. IHOP – Free Kids meal WP of adult meal. Every day, 4-10 PM. Ages 12 and under. Ikea – Free kids meal on Tuesdays. All Day. Ages 12 and younger. Joe’s Crab Shack – Kids eat for $2 on Tuesdays. Kyoto Japanese Steak House – Kids get a free chicken meal on Wednesdays WP of an adult entree. Ages 12 and younger. 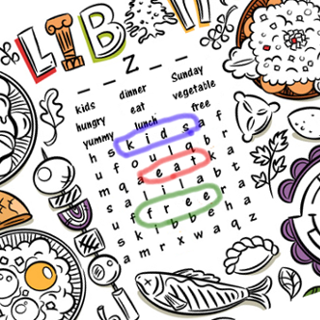 Luby’s – Kids 10 and younger eat free with purchase of an adult meal on Saturdays. MCalister’s Deli – Kids eat for $.99 every day. Free kids meals on Tuesdays WP of adult meal. Souper Salad – Kids under 4 eat free every day. Kids under 12 eat for $2.49 on Sundays. Spaghetti Warehouse– Free kids meals on Tuesday. Steak n’ Shake – For every $8 on your ticket, a child eats free. Saturday and Sunday. Ages 12 and under. Texas de Brazil – Kids ages 2 and younger eat free with purchase of an adult meal. Kids ages 3–5 eat for $5. Kids ages 6–12 eat for half price. Every day. Texas Land & Cattle – Up to two free kids meals WP of adult meal. Saturdays 11-4. Tin Star – Free kids meal WP of adult meal Wednesdays and Sundays, 4–9pm. Ages 12 and younger.